This Spartanette has been nicely refurbished and outfitted for your comfort. This vintage setup welcomes you with an entry into a relaxing courtyard with original yard art and comfortable seating. Roomy and warm interior with the woodwork restored. Furnished with mid century pieces, you'll feel like you stepped back to simpler times. Of course you have modern amenities as well like a new stove, TV with Netflix, satallite and wi-fi. The kitchen is small but convenient with everything you'll need for your vacation. There is a comfortable double bed with a 1/2 bath, plus a new attached 3/4 bath. Only 100 meters to the sea of Cortez. It's an easy walk into town where you will enjoy tacos on the Malecon. Music in the evenings will entertain people if all ages. Perfect for beach combing, desert tours and time spent with family. There are 3 vintage trailers plus a house on this property, you can rent them all for a family get away or just a little piece of this private retreat. The compound is all walled and gated with security and privacy in mind. This location makes the perfect base for exploring San Felipe! Originally from Washington State, my wife, Gail and I have been living in San Felipe for over 10 years and coming here since the "70's. 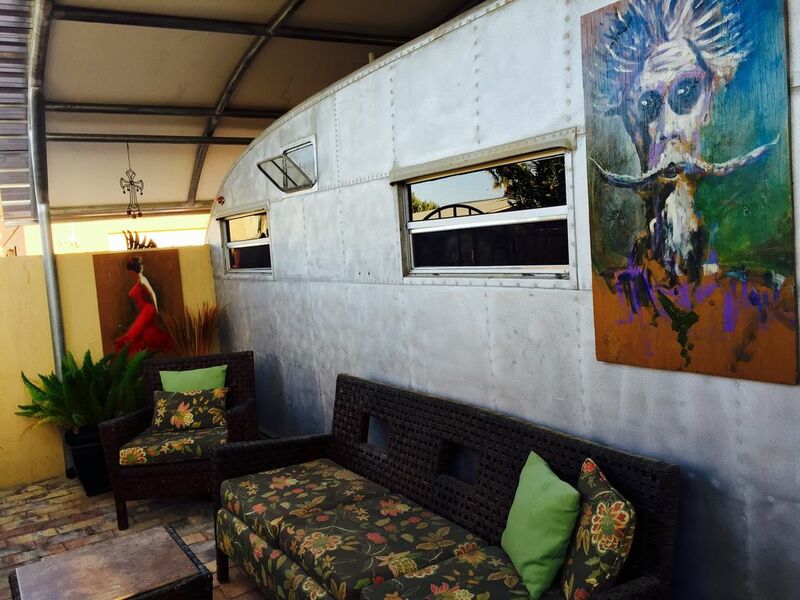 I enjoy working on different projects and in April of 2015 bought the first aluminum trailer to upcycle for guests and turned our property into a vintage trailer court. It's been a fun project with it all complete. One house and three vintage trailers allows for plenty of garden area and parking. What a great location across the street from a sandy beach and just minutes walk into town. The Malecon is fun for people of all ages and has some of the best taco's around! The home of the original fish taco. The original 1/2 bath plus an addition of a 3/4 bath off of the bedroom.